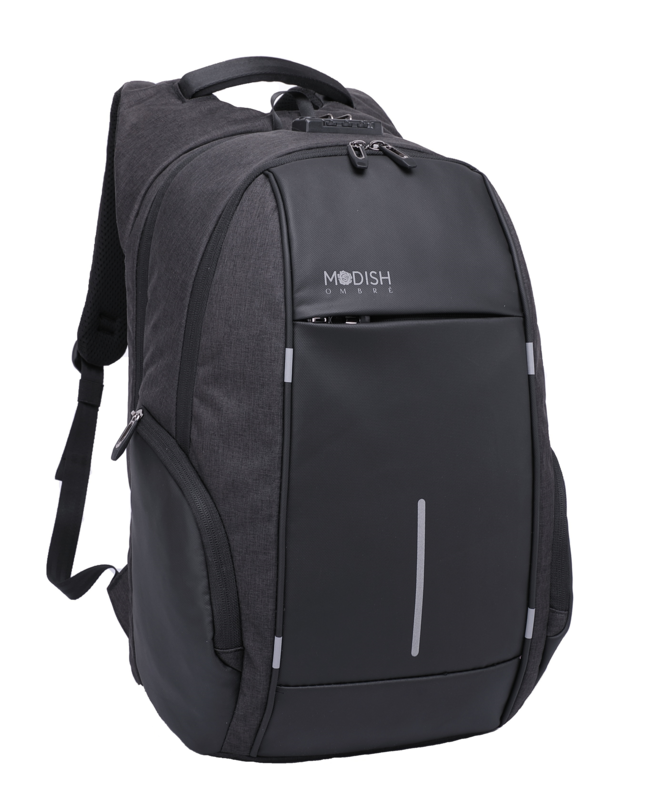 This stylish backpack from the house of ModishOmbre have advanced storage design which is spacious upto 17 Inch Laptop. Besides being the trendy and stylish backpack, It is also the most convenient backpack for travelling, college, school and office. 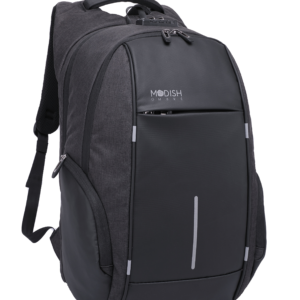 Anti-Theft Backpack: The stylish ModishOmbre backpack applies anti-theft design techology. It includes a theft proof combination lock which also has a TSA lock & durable SBS metal zippers, It cannot be opened without knowing the combination. 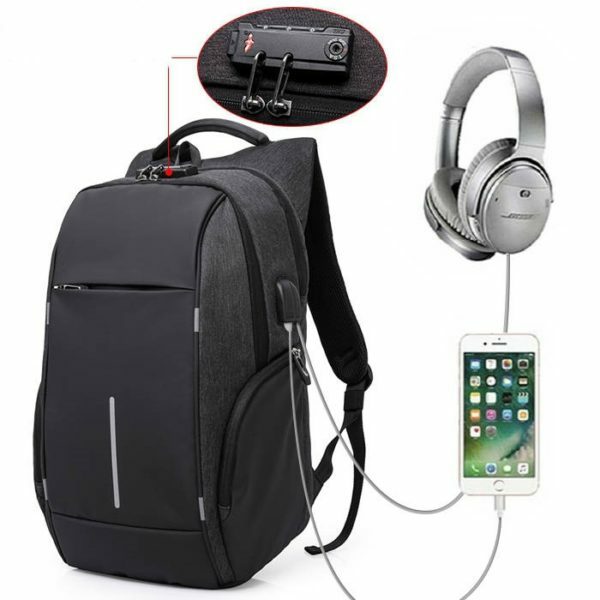 It’s super good for travel, work or school. It also has the pocket for your card in the front of both straps. Concealed zippers lie next to your back, which makes you far away from theft and protects your wallet, laptop, phone and precious things. 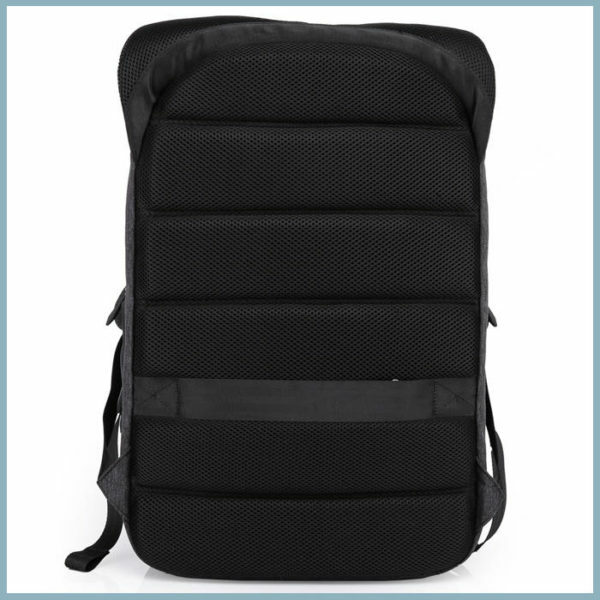 Water Resistant and Repellent Backpack: Made of high quality water-resistant nylon, with metal zippers, breathable mesh shoulder straps and 3-layers breathable mesh back padding. Durable, lightweight and comfortable. 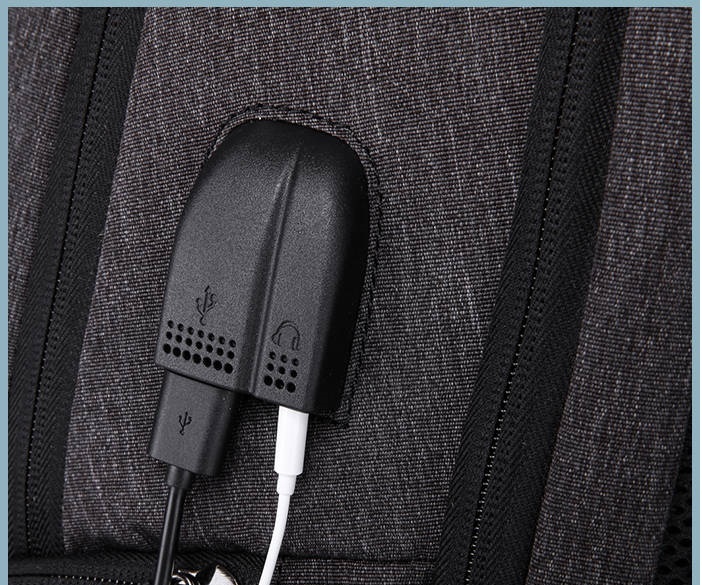 USB 2.0 Charging Port and AUX Port Design: External USB charging port, AUX port on the right side of your bag with built-in AUX and USB charging cable which offers a convenient charging of your electronic device by connecting with the Portable Charger, such as Andriod & Apple Devices & any other device. 2 Seperate Zipper Compartments: It featues 2 main zipper compartment which is very spacious. So, that you can carry anything you want to carry. 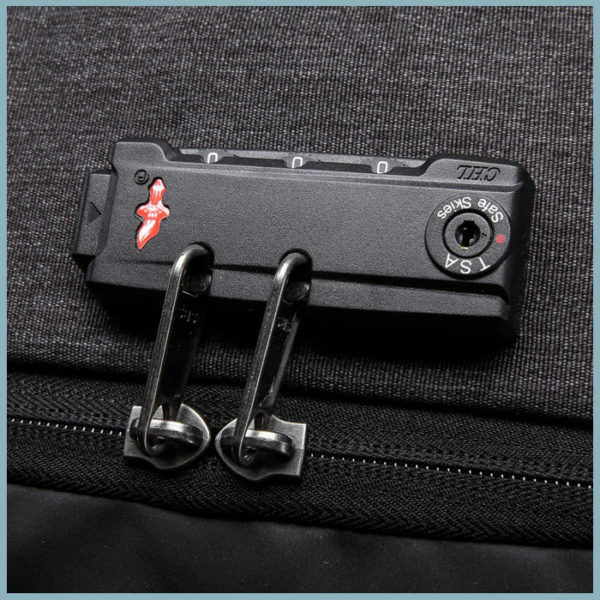 SBS Zip fits in the combination lock perfectly to provide safety to your valuables. It also have 2 side zipper pockets. TSA Lock: The TSA screens every passenger’s baggage before it is placed on the plane. At their discretion, from time to time, they choose to open a passenger’s luggage for closer inspection. When this occurs, if the luggage is fitted with any lock other than those approved by the TSA, they will destroy whatever lock is fitted to gain access. Luggage locks approved by the TSA have a universal master key that will open the locks. Only the TSA have a copy of this master key. Every TSA approved lock has an identifying mark that shows it may be opened by the master key. Spacious Upto 17 Inch Laptop: Multi-compartment laptop backpack equipped with one large compartment, a 17 inch laptop compartment and a tablet holder. 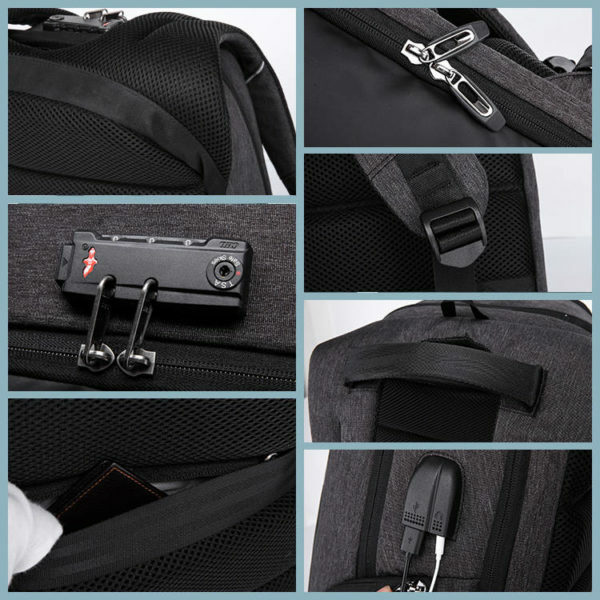 Special Features: Integrated USB charging port, Side zipper pockets, Water-resistant fabric, Weight balance, Luggage strap, Adjustable shoulder comfortable strap and a zipper closure. Everyday many pick pocket incidents occur in metro and train. Never worry about this happening to you with ModishOmbre anti theft backpack. 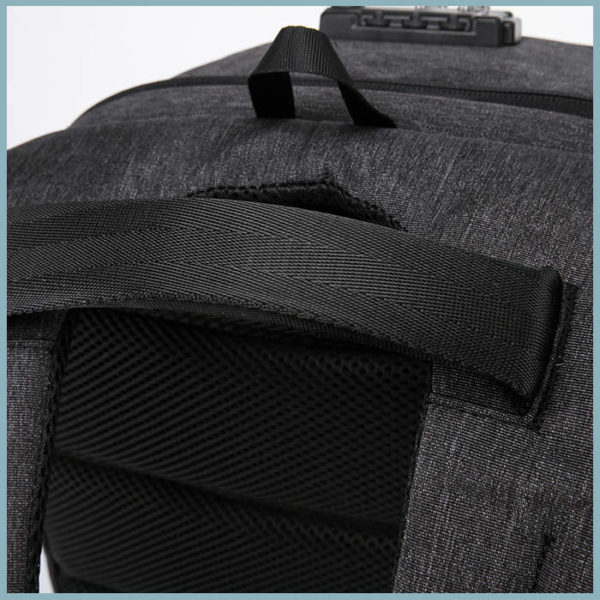 Key features as combination lock and secret pockets will keep your belongings safe during your commutes. Besides being the safest backpack it is also the most convenient backpack with features such as an integrated USB charging port, AUX plug to connect with ipod and phones, weight balance, water-repellent fabric, illuminating safety strips and luggage strap.